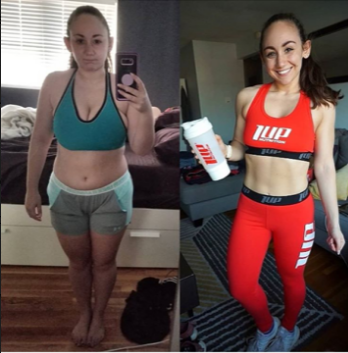 What I love about fitness is that it doesn't have to look the same for everyone! Your journey will look different than mine and your physique goals don't have to be the same as mine either. Fitness is personal. It should be empowering and you should continue to improve and evolve. ​I'm Julia Haeffele (pronounced hay-flee for those curious!) and I love being a Sleek Body Coach. I coach online lifestyle clients, bikini and figure competitors, and also offer personal training sessions. Fitness and wellness has been something I've fallen in love with over the years and I'm passionate about helping my clients find that enthusiasm for it as well. My personal fitness journey began in 2012 after I set my mind to getting in the best shape of my life for my wedding in 2013. Prior to this, my friends had playfully dubbed me the "fast food queen" and I would love to joke about my unused gym membership. 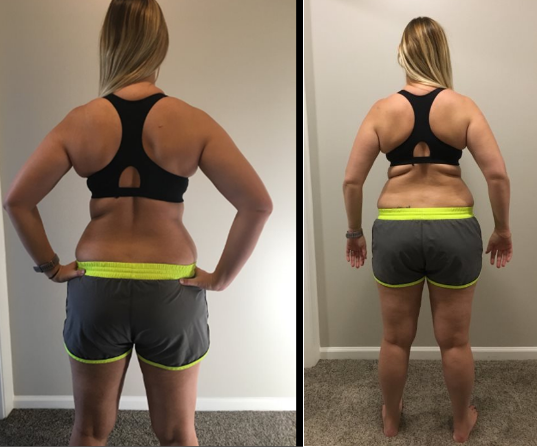 After one phone conversation with Coach Tracy, owner of Sleek Body Fitness, I knew her program was going to be what got me the results I was looking for. After consistently training 4-5 days a week and understanding nutrition so much better, I was able to create a physique I was proud of and felt like a million bucks in my gown. Post-wedding, I realized I was absolutely crazy about lifting and nutrition. I loved what my body looked like with more muscle and was committed to building more of it! Along the way, I was asked by Coach Tracy to join the studio training team and later to begin taking on online clients. From 2013-2017 I juggled coaching and working as a full time sales associate for a catering company where I booked weddings and special events. While I really enjoyed being in events, I knew I wanted to follow my dream of making fitness my full time career. I quit my corporate gig in early 2017 and haven't looked back. I'm so glad and feel so luck to be able to focus so much more of my time on my clients and dedicating more time to helping people achieve their goals. I've gone from bride to figure competitor to powerlifter. I train like a beast to feel like a beauty! You'll see me wearing pink 90% of the time. gym-xiety! It would have made me so much more confident about what I was doing. You'll be checking in with me regularly so that we can continue tweaking your plan as your journey evolves. If you're new to training, unsure about how to lift, or just wish you had more confidence in and out of the gym, this type of plan can be life changing for you. I hope we are a good fit! 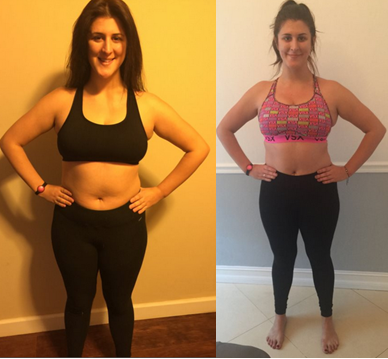 These are just a few of my clients' transformations! I am taking on new clients at the moment! You can fill out an application by clicking "sign up". 3. If we work together, and you follow my plan, you will be successful! I'm not a cookie cutter coach and I will be working WITH you to help you reach your goals. If you would like more info.. you can fill out my contact form.